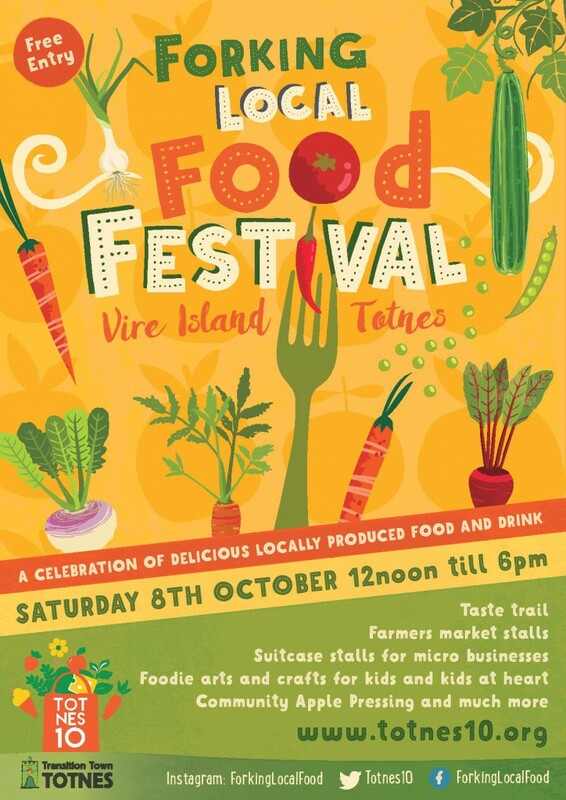 As part of Food Link’s Totnes10 local food campaign, we are teaming up with local farmers and foodie folk to run a local food festival in Totnes on Saturday 8th October. This is a festival to champion and shout about the amazing local food producers and products we have nearby and we’ll be holding a series of fringe events in the run up including a local food tour! 2.50-3.25pm Elliot, Spindlebrook Farm market garden - watch this space! There will be musical interludes! If you have any questions or offers, please get in touch with Myrtle: myrtle@transitiontowntotnes.org or 01803 867358. Totnes10 is a Transition Town Totnes initiative aimed at encouraging shoppers to spend 10% of the weekly food bill on local produce. We believe that buying locally increases the wellbeing of our community by creating jobs, protecting our local ecology, keeping money in the local economy and providing people with healthy, nutritious food. We encourage this by creating a dialogue between farmers, producers and shoppers though events and initiatives in our local community. To find out more about the Totnes10 initiative and how you can get involved, contact myrtle@transitiontowntotnes.org and join our conversations on Facebook and Twitter. A full list of participating food businesses can be found on the event page.